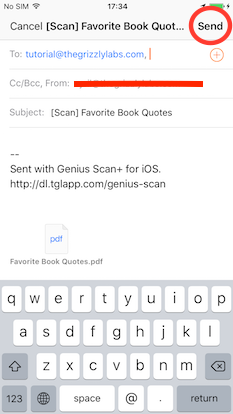 When you try to export your documents via email, the "Send" button can be inactive. This indicates that Apple's Mail app isn't properly configured or installed. This has to be the Apple Mail app (the icon looks like the above icon). It doesn't matter if you use Yahoo, Gmail, Outlook or so, this has to be the Apple Mail app. If the icon doesn't appear anywhere, the Mail app needs to be enabled from the App Store ( re-install the mail app). Open Apple's Mail app, and verify that an email account has been properly configured. Here's a step-by-step guide on how to set up email accounts on iOS devices. The Apple Mail app (the icon looks like the above icon) has to be properly configured. It doesn't matter if you use Yahoo, Gmail, Outlook or so, this has to be the Apple Mail app and you need to configure it as described here. You can configure it to send emails using your Yahoo, Gmail or Outlook account, though. 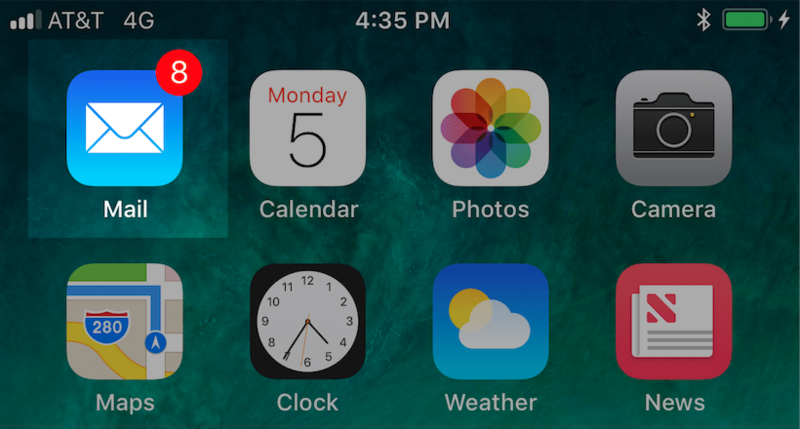 If you are able to send and receive emails with the Apple's Mail app, you can troubleshoot remaining issues in this article.